ORLANDO, Fla. – Sixteen players from UCF’s first undefeated team in program history have been named All-Conference, McKenzie Milton took home Offensive Player of the Year honors, and Scott Frost has been unanimously selected as the American Athletic Conference’s Coach of the Year. Milton led the conference in total offense this season, his 339.1 yards per game totaling a cool 3,730 yards and 36 total touchdowns. USF quarterback Quinton Flowers recorded 324.7 yards per game and put the rock in the end zone 31 times; Memphis gunslinger Riley Ferguson produced 322.5 per game and 38 touchdowns. 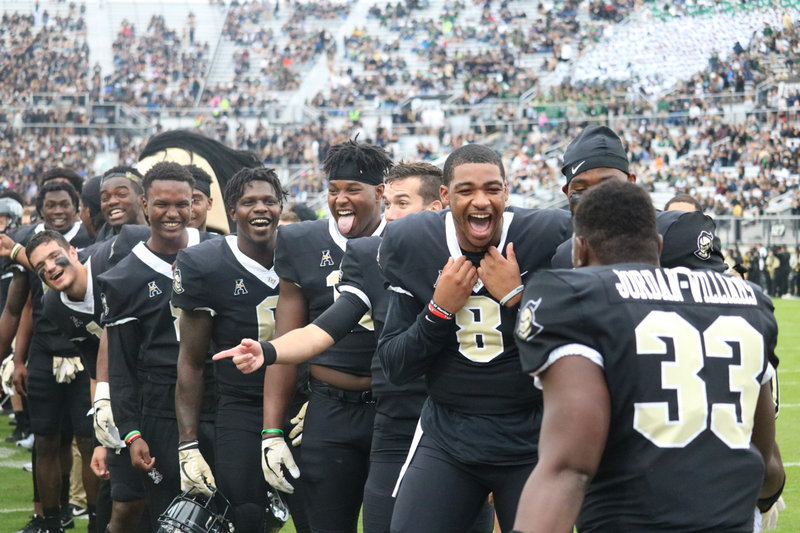 The nine first-team nominees include three underclassmen and five offensive players from the nation-leading UCF scoring offense, but nine of the total seventeen players call the defensive side of the ball home. Shaquem Griffin joins Frost as a unanimous selection as well.